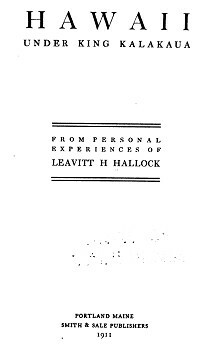 from personal experiences of Leavitt H. Hallock. Smith & Sale, Portland, Maine, 1911. 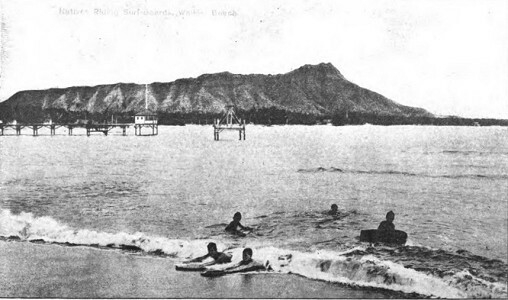 The text has no surf riding content, but there are four photographs of Waikiki Beach. 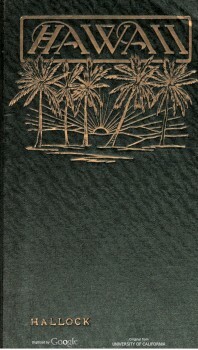 Geoff Cater (2013-2017) : Leavitt Hallock : Hawaii under King Kalakaua, 1911.